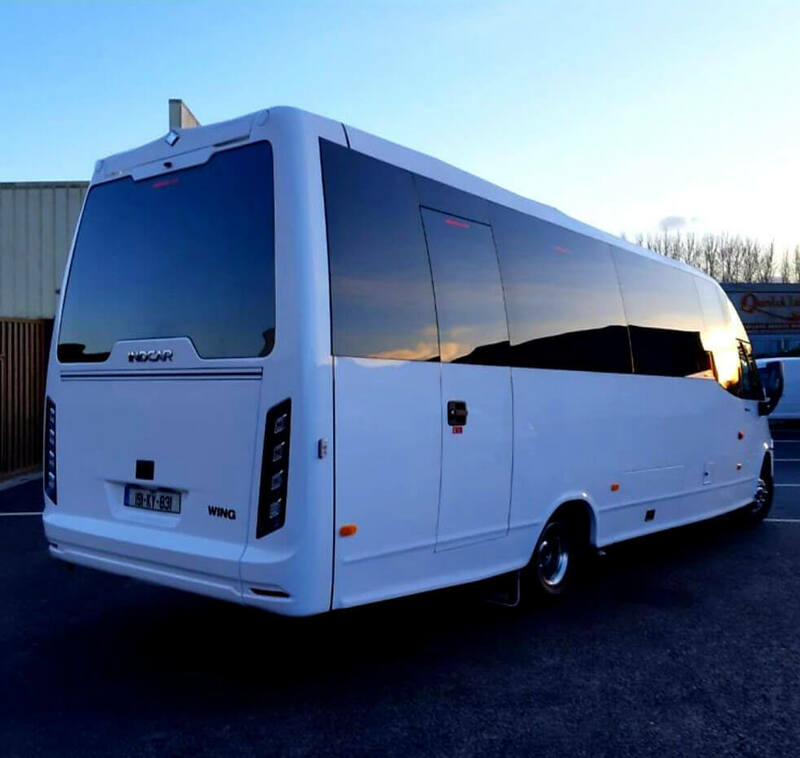 Collins Coaches and Cab Company is a family firm based in Kerry, Ireland. Tom and Norra set up the business in 1987 to fulfil the transport needs of the local community in Currow and the wider Kerry area. Collins has chosen an Indcar Wing bodied Euro VI-engined Iveco Turbo Daily for its latest vehicle purchase. Entry is via an outward-opening plug door. The Wing has 30 Indcar i30 three-point seatbelted reclining seats with folding armrests and extra padding. The saloon has dark-tinted double-glazed windows, and the driver benefits from a heated windscreen and cab sliding window. Air-conditioning is provided by a Thermoking 12kw unit, with the air being ducted through passenger service units in the full-length luggage racks. An Eberspacher system provides heat to the convector units that run up both sides of the vehicle. The driver also has air-conditioning from the original in-dash Iveco unit. 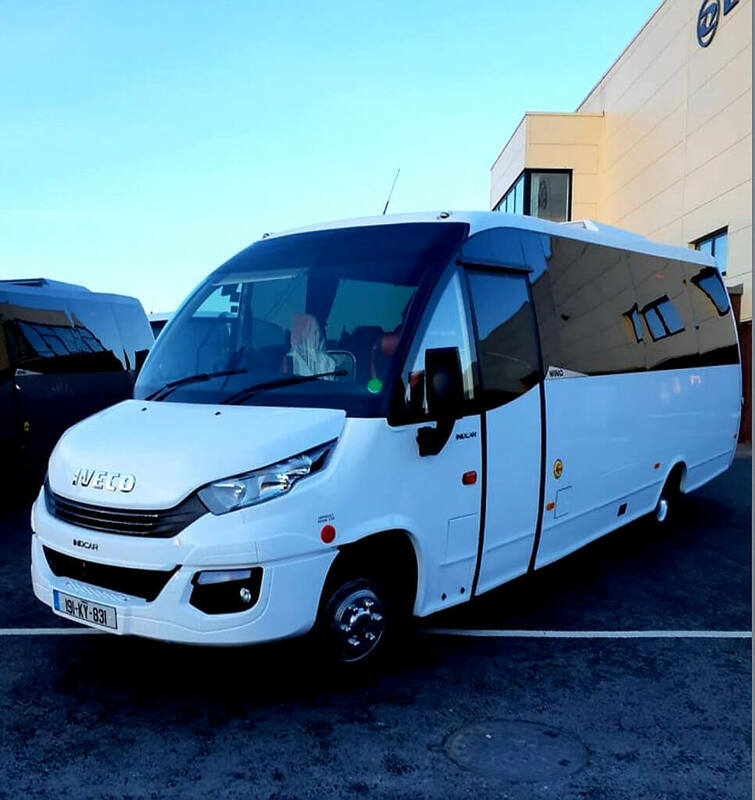 The coach-style rear of the Indcar Wing features an elevating boot door that has gas lift up struts.The vehicle was supplied by EVM, Ireland.